Giant Overflow Siphons are available in 3 different sizes – DN150, DN200 and DN250. Giant Overflow Siphon with odour trap and optional rodent barrier. 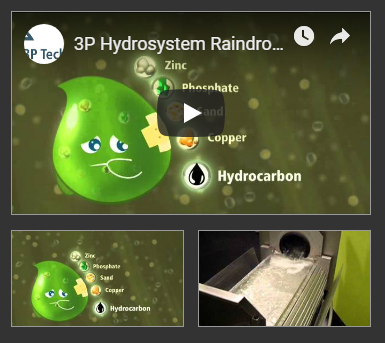 Regular overflowing of rainwater is essential as it prevents the formation of dirt particles which reduce oxygen diffusion at the water surface. This keeps the water fresh by stopping any anaerobic decomposition from taking place. Also available with high-grade stainless steel rodent barrier. Ideal for use in large-scale installations. 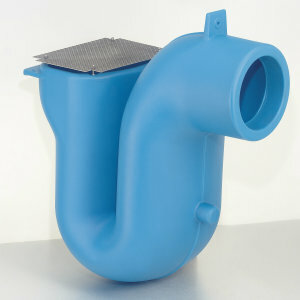 The 3P Giant Overflow Siphon’s outlet fits any DN150, 200 & 250 pipe. The overflow siphon must be securely attached to the tank, since it has a substantial weight when filled. The Giant Overflow Siphon has several connection points in order to fasten it inside the tank. A high-temperature resistant (HT) DN 50 pipe can be attached to the bracing point to act as a supporting bracket. Tanks fitted with 3P Overflow Siphons and 3P Calmed Inlets become eligible for the ECA scheme. The overflow siphon has been designed to remove dirt particles and floating debris on the water’s surface. Regular overflowing of the cistern is essential for a high water quality. The Overflow skims the top layer enabling oxygen diffusion at the water surface.